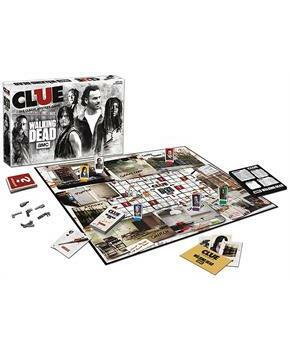 USAopoly presents AMC's The Walking Dead edition of one of Americaâ€™s favorite classic board games, Clue! Play as Rick, Michonne, Carol, Negan, Daryl or Glenn to solve WHO killed the guards, WHERE in Alexandria they were slain, and WHAT weapon was used. Was it Negan in the Infirmary using Lucille? 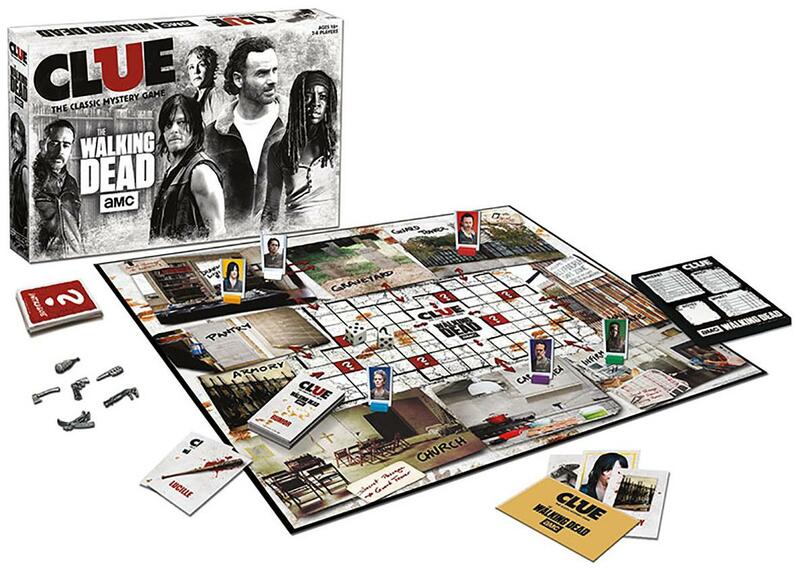 Includes Custom Game Board; 6 Suspect Personality Cards: Rick, Michonne, Carol, Negan, Daryl and Glenn; 6 custom Metal Tokens: Revolver, Knife, Crossbow, Hatchet, Shotgun, Lucille; Rumor Cards: 6 Suspects, 9 Locations and 6 Weapons; 6 Custom Movers; Custom Scoring Pad; Mystery Envelope; and Instructions. For 3-6 players.